Formed in January 2008, the Jay County Chamber of Commerce proudly serving the Jay County region and the communities of Portland, Dunkirk, Pennville, Redkey, Bryant and Salamonia. As a member of the Chamber, we share your vision of success for the future and your Chamber membership offers you the opportunity to strive towards reaching your goals. Investment in the Chamber helps to grow your business by offering valuable member benefits, displays leadership in our region and improves the business climate of Jay County. Monthly networking meetings offer an opportunity to introduce yourself and your business to other Chamber members which can help grow your business. Starting in January, the Chamber holds a noon luncheon at the Jay County Hospital and the following month a 7:30 am breakfast rotating throughout various Jay County communities.These scheduled networking opportunities continue throughout the year. Additionally, each networking meeting features a guest speaker for all to enjoy. Each member receives a free listing on the web site directory and their business referred to individuals calling seeking various related products and/or services. The Chamber conducts ribbon cuttings, ground breakings and provides grand opening assistance as a free service to members. Ceremonies can be performed by themselves or as part of an open house. Chamber Ambassadors, Board Members and members attend these ceremonies which provide your business with excellent networking and publicity opportunities. The Chamber’s Advisory Group includes local, seasoned professionals who serve as mentors to businesses and develop programs of value to the business community. As a member, the advisors are available to help new and existing businessowners with vital input and to assist with business plan audits, marketing, finance, technology, management and legal needs. Did you know the Chamber issued over $73,000 in merchant gift certificates last year? All gift certificates are redeemable only at participating Chamber Member businesses. As a member, your business will be included as one of the participating locations where Jay County Chamber of Commerce gift certificates can be redeemed. This collaborative of Chamber Members in retail, restaurant, service businesses and organizations emphasizes shopping Jay County and promotes tourism initiatives. As a part of this collaborative, members plant and participate in special countwide merchant events and enjoy various promotional advantages. MAILING LISTS The Chamber provides an electronic member mailing list free of charge for members. The list includes company name, contact name, address and phone number (email addresses not included). Additionally, if mailing labels are provided by the Chamber member, the Chamber staff will print the mailing labels free of charge. With over 6,000 friends on our social media pages, members are offered the opportunity to post member-related events and specials free of charge. The membership directory portion of the website has more than 11,000 unique visitors each year which views more than 13,600 member directory listings. Members enjoy unlimited job postings on both the Chamber's social media pages. Spotlight your business by sponsoring one or more of the Chamber’s signature events open to the public. These events include: Jay County Community Awards, Chamber Classic Golf Outing, Stars in the Park, Food & Drink Festival and Jay County's signature holiday event; WinterFest. 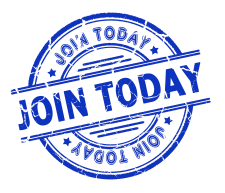 Your membership support makes it possible for the Chamber to serve the "common good" of Jay County citizens, our communities and our members in a multitude of ways. Examples include; supporting Jay County events/organizations, providing business start-up/relocation assistance, connecting to elected officials and making possible special community initiatives.